There’s no such thing as a ‘one-size-fits-all’ approach at Charterhouse. From employee career paths, to internal process to their approach with clients, Charterhouse is a totally unique and bespoke recruitment offering. 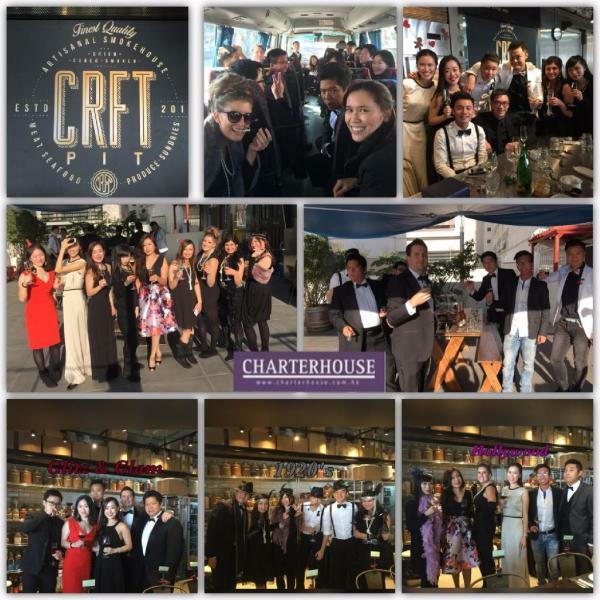 Charterhouse Hong Kong was established in 2007, and is the cornerstone of the global Charterhouse brand in Asia. Managing Director Luke Phipps joined the business in 2016 and they've gone from strength to strength as a 'generalist' agency with 9 distinct specialist practices in Commerce and Banking & FS. They're looking to add headcount throughout the business, and with a diverse culture and low ego friendly team, the only thing they ask everyone to have in common is ambition. We are growing- are you? If you're an experienced recruitment consultant, with a passion for success and a commitment to achieve, you’ll be home at Charterhouse. Razor sharp communication skills and presentation are assumed, but a collaborative and team-based ethos is essential as well. On top of working with an amazing team in a fabulous office, you'll benefit from a competitive salary and first class commission scheme, cool social events, cash incentives, high biller trips and ongoing training and development throughout your career. Do you want to be a key player in driving forward an established successful division with relatively limited competition and huge growth potential? Can you build relationships with global partners & senior decision makers in the dynamic, fast paced Hong Kong & China markets? If so, we want to hear from you- we’re growing across the board and offer a phenomenal platform for success and career progression as the Charterhouse Hong Kong brand goes from strength to strength. All personnel have at least three years experience in either recruitment or the industry for which they recruit. This experience has created established relationships with a strong local, national and international candidate base which provides a vast pool of suitably skilled personnel for available roles. We provide a full monty induction programme, tailored to your level. Support, mentorship and collaboration is ongoing, no matter what your level. Our collective wealth of industry knowledge is accessible to everyone- that's how we grow as individuals. You'll be pushed to raise your game and given the tools to do so. A self-proclaimed ‘big boutique’, ConnectedGroup offer one of Hong Kong’s best commission structures. They’re transparent, results driven and have the largest social following of any recruitment company in Hong Kong!